Photographer based in Brussels, Belgium Nathalie Bertrams portfolio on Visura - a professional network to connect with photo editors and art buyers, and build photography portfolio websites. Visura members, like Nathalie, share photojournalism, art photography, landscape, travel photography, portraits and more. Nathalie has 27 projects, community news posts, and 0 images shared in the photo stream. By Nathalie Bertrams — ‘Gaat u naar huis. Zij is dood’ De nasmaak van de dood Ebola dreigt in de Democratische..
By Nathalie Bertrams — On the streets of DR Congo's Goma, rap gives youth a voice In the Democratic Republic of the Congo, street rappers fight President Joseph..
By Nathalie Bertrams — 'They believe I was cursed with blindness because God was angry' Girls with disabilities in Ethiopia have been sexually assaulted and are..
By Nathalie Bertrams — Ingrid Gercama's and my article and photos are published in de Groene Amsterdammer today. 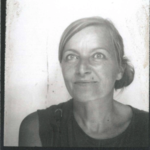 With a grant from Free Press Unlimited we travelled..
By Nathalie Bertrams — Enquête. Plongée dans le trafic de vanille à Madagascar Les trois quarts de la production mondiale de vanille proviennent de Madagascar. Alors..
By Nathalie Bertrams — With Ingrid Gercama Madagascan gold: meet the vanilla hustlers â in pictures Vanilla is the worldâs most popular flavour, and surging..
By Nathalie Bertrams — Article in the Mail & Guardian, South Africa with Ingrid Gercama Vanilla fever: Fear sours the sweet scent of Madagascar’s success Vanilla is..
By Nathalie Bertrams — Toxic Planet: The Global Health Crisis , the Pulitzer Center's newest e-book, is now available free on iTunes , Kindle , and Atavist . The..
By Nathalie Bertrams — Smoke and Mirrors: Inside Malawi's untold health crisis A day-to-day practice is killing thousands, but their story is being neglected. Ingrid..
By Nathalie Bertrams — " Trans people are risking their lives in Istanbul " published in Global Post/ PRI. A collaboration by Lorraine Mallinder and Nathalie..
By Nathalie Bertrams — I am happy to invite you to the OSTRALE Biennale 2017 in Dresden, Germany. Opening: 28th of July from 6pm to midnight Exhibition duration: 29th..
By Nathalie Bertrams — Excited to invite you to the opening of the group exhibition KONTINUUM, a joint project of Alfred gallery and Betonbox Düsseldorf artists..
By Nathalie Bertrams — Ingrid Gercama and myself have been awarded a grant from the Pulitzer Center on Crisis Reporting to report from Malawi. Watch video:..
By Nathalie Bertrams — New article and photos published for the Pulitzer Center on Crisis Reporting (with Ingrid Gercama)..
By Nathalie Bertrams — In the current group show Kontinuum at Betonbox , Düsseldorf, I present a new photography series "Outcast" - large format camera..
By Nathalie Bertrams — http://pulitzercenter.org/reporting/malawi-new-kind-cookstove Framing the challenge of wood fuels in Malawi—a Polaroid series. Nathalie Bertrams..
By Nathalie Bertrams — Une initiative de Koko Lewis & The Ganhi Element Marseille un projet sur les concepts des identités composites contemporaines vernissage le 3..
By Nathalie Bertrams — I am happy to be a contributor to the MIPJ 2016: Indigenous Edition , which will be released on Monday, November 14, 2016 . ..
By Nathalie Bertrams — One of my photos from the series The Forgotten People was installed in the exhibition "Realpraesenz" in the off-space Betonbox, Düsseldorf,..
By Nathalie Bertrams — Group show "Realpraesenz" in off-space Betonbox, Düsseldorf, 02.09.-09.09.2016 Nathalie Bertrams (photography), Mavi Garci..
By Nathalie Bertrams — The Kolga Tbilisi Photo Award made a video of my shortlisted documentary project "The Guests" about Syrian refugees in South Turkey. Watch here:..